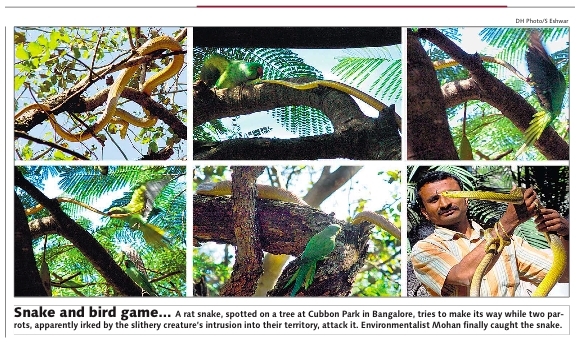 The front page of today's Deccan Herald had this awesome series of photos of a couple parrots picking on a rat snake they hadn't taken a liking too. I think that rat snakes will eat more than just rodents . . . . I think the snake is a very nice color, but I guess I'm glad I didn't see it in the park myself.